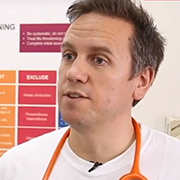 British doctor Chris Hook has just returned from Yemen. 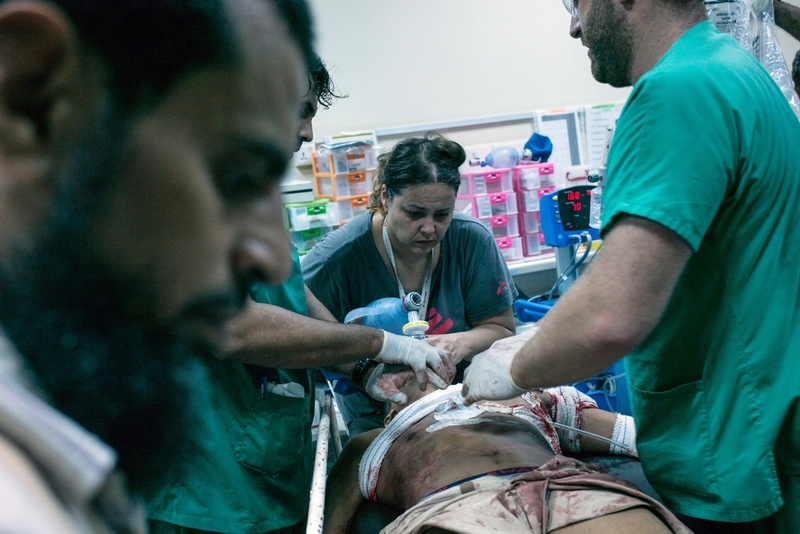 Since August, he worked as part of MSF’s emergency team helping to set up a hospital in the Al Salakhana district of Hodeidah city. From the beginning of November, the city has experienced heavy fighting and shelling with battles getting close to the hospital. People in Al Salakhana are trying to go about their lives as normal, but it’s a very poor area of Hodeidah. People are having to choose between healthcare or food, or the healthcare of one family member over another. One patient that will stay with me from my time working in the hospital was a 15-year-old boy. Around seven months ago he was in an accident; he’d fallen off a motorbike. He'd badly fractured his leg and went to a private hospital for the operation. They gave him an external fixator – metal bars that go into the leg from the outside to hold the bones into position – to mend the fracture, but he couldn't afford to have it removed. He’d been living with the fixator for six months, and it should have been taken off after two. He came to us asking if we could remove it. Of course, we said we would do all we could. But he couldn’t walk. We needed him to be able to walk so that when the fixator was removed he’d have enough strength in his leg. We gave him some crutches and told him to start putting some weight on the leg. We asked him to come back in a week’s time and, if he was walking, we'd remove the fixator. But he didn't come back. Emergency room at an MSF hospital. File image. Soon after that appointment, around the beginning of November, the fighting approached around the east of the city. Al Salakhana hospital is in the north-east of Hodeidah and we were very close to the frontline. We couldn’t move as there were a lot of stray bullets flying around. Our house was hit quite a few times, so we ended up living in the office as it’s closer to the hospital. Under these conditions, we couldn’t risk driving between the house and the hospital in case the car was hit. The Yemeni staff in the hospital were very used to the fighting – to be honest, they found it tedious! Nobody seemed panicked and that atmosphere spread through the hospital. Just sit still, stay calm and everything will be okay. The Yemeni team kept us in that mindset which was hugely comforting. To our relief, three weeks after we first saw the boy he returned to the hospital with his mother. It turned out that the family lived in the neighbourhood just next to ours. They explained that when the fighting intensified near their home, the family were trapped for two and a half weeks. They couldn’t leave their house due to the fighting. While they were holed up, the boy’s father and one of his brothers were shot. Their house was caught in the crossfire. Sadly, they were killed. Despite the horror he experienced, the boy had kept to his programme of rehabilitation. He'd done everything he could to strengthen his leg to make sure he’d be able to have the fixator removed. He is one of seven children and, now with his father gone, he was determined to walk so he could find work. At the age of 15, he now considered himself the man of the house and needed to provide for the family. His mother was visibly upset as they explained their situation. Her worry that we wouldn’t be able to remove the fixator was compounded by the trauma she’d experienced. We examined his leg and gladly told the boy that it was strong enough to have the metal removed. We told them the treatment was free and that he could come back for regular check-ups to make sure his leg was healing properly. There was lots of weeping. They were clearly very grateful that we were there to help and hopefully make life a little easier for them again.